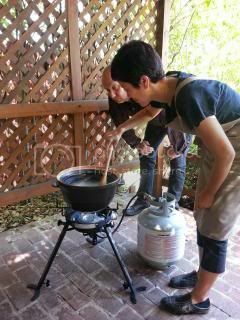 HAPPY DONABE LIFE - Mrs. Donabe's Rustic Japanese Kitchen: Donabe Cookbook Production Update...Successful Photoshoot in LA! 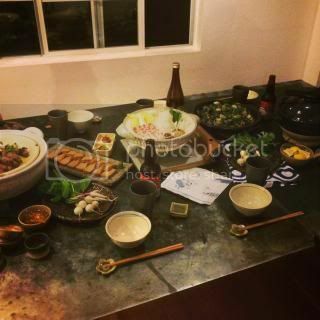 Donabe Cookbook Production Update...Successful Photoshoot in LA! We just ended 9 days of very intense photoshoot for our upcoming DONABE Cookbook in LA. 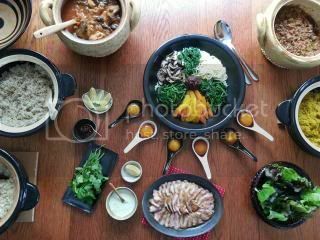 It was our second big shooting (the first time was in Iga, Japan in last November), and this time was all about Naoko's home donabe recipes and omotenashi (Japanese hospitality) concept! I had to spend so many weeks to prepare just for this shooting. Out of hundreds of my original donabe recipes (most of them are handwritten in my small notebook) which I created over years, I selected about 80 recipes to shoot for the book this time. It was so hard for me to make selections, as I love most of the recipes equally but I somehow had to narrow them down, while carefully making sure the selections will create a nice balance of styles, ingredients, etc. between the recipes. Another thing I've been wanting to express in this cookbook strongly was not just the recipes alone, but also different themes and scenes of donabe meal settings. 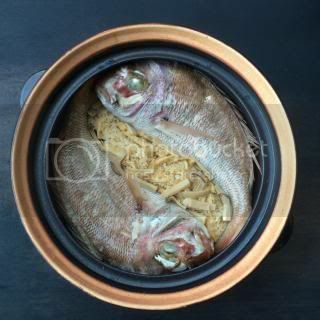 And, that's what I have been offering in my donabe cooking classes. What's so important and unique about donabe is donabe gathers people and bring them closer. Yes, you can definitely achieve it with just one donabe dish. But, I also love giving "omotenashi" (Japanese-style hospitality) to people by multiple donabe dishes in different scenes and seasonal settings. 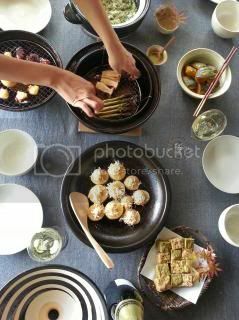 So, we had a great time shooting different themes of donabe meal settings to hopefully give nice inspiration to the readers. It was a real intense schedule, as we shot not only the donabe recipes but also so many other recipes (sauces, condiments, etc.) plus techniques, products, etc. etc. in those 9 days. Every morning, I started around 6.30 am to start prepping. Everybody else arrived around 11 am or after to start shooting, then we cooked and shot all day long. After everybody left at night, I finished cleaning, started prepping for the next day, and made the whole menu/ shooting schedule, shopping list, for the following day. The shooting was a great success, thanks to the great teamwork (Donabe Dream Team) with my co-author, Chef Kyle Connaughton, and photographer, Eric Wolfinger, who came down from Sonoma and San Francisco to work with me. They made my dishes look really beautiful! In this shooting, I also got great support by Asami Tanaka (she also took most of the photos in this post! ), Alison Christiana, Jason (my husband), and many sponsors, including Lee Fish/ Kai Gourmet (for seafood and caviar), The Chef's Garden (for vegetables), Mutual Trading Co. (for seasonings and dry ingredients etc. 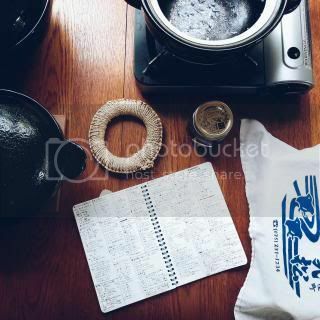 ), Morihiro Onodera/ Tamaki Farms (for Uruguay koshihikari short grain rice), Amabito no Moshio (for ancient-style seaweed seasalt from Setonaikai Sea) my distribution partner Saikai (for jumbo size Kamado-san), and Nagatani-en (for the extra donabe and tableware)!!! We have one more shooting period up in Sonoma (to shoot Kyle's chef-style donabe recipes) and sooo much to write to complete the book. 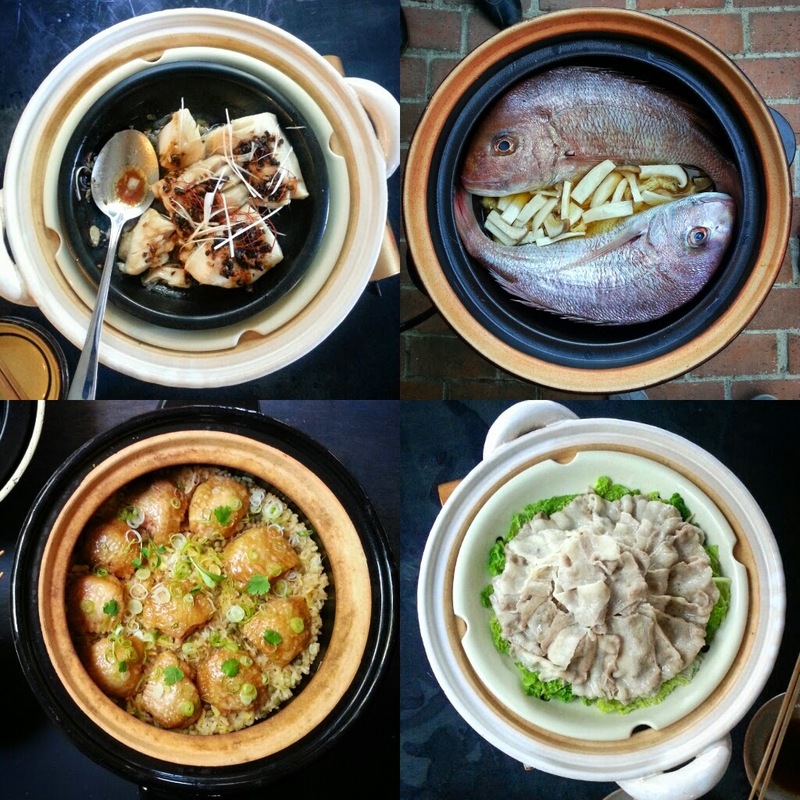 The DONABE Cookbook is scheduled to publish by Ten Speed Press in Fall 2015. Please stay tuned.